Jordan’s, as a brand, has long been known to make excellent basketball shoes. They offer comfort, support, are packed full of features, and, of course, they have a unique aesthetic that can’t be found anywhere else. 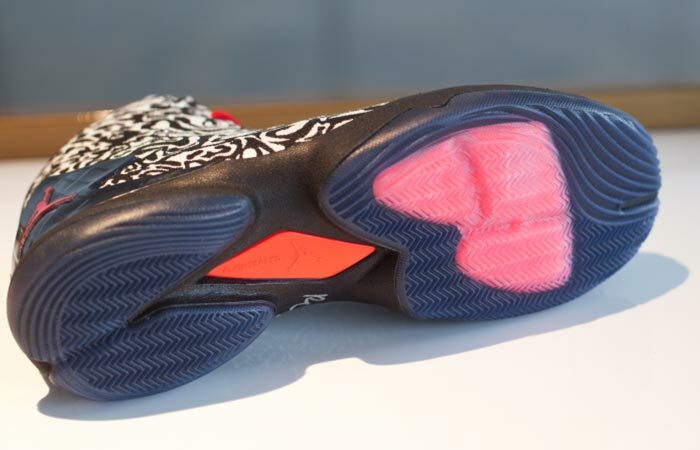 The latest, Jordan’s Super.Fly 4 Jacquard Basketball Shoes, delivers all of this and more. Starting from the bottom up, the Super.Fly 4 features segregated rubber outsoles (the heel and the toe areas are independent) that delivers both excellent grip and comfort. The outsoles are connected with the trademarked Jordan FlightPlate that gives your foot torsional support – meaning that it stops your foot from bending in the wrong places and allows it to bend in the right ones. The FlightPlate also gives you a much needed boost when jumping. The trademarked FlightPlate in the middle of the shoe gives you torsion control as well as a boost when jumping while the Forefoot Zoom Air cushion unit absorbs shock and adds comfort when landing. The upper is constructed out of textile that is not only super lightweight but extremely breathable as well as supportive. For extra support, the Super.Fly 4 features and external TPU heel counter that helps to stabilize your foot while in the toe, Jordan has incorporated their forefoot Zoom Air responsive cushioning unit. To ensure that you get the perfect fit every time, the Super.Fly 4 features a webbed lacing system that locks your foot down. The TPU heel gives you additional Achilles Heel support as well as adding to the overall aesthetic of the shoes. All of this, combined with the Phylon foam intermediate sole, makes the Super.Fly 4 an extremely comfortable and lightweight shoe that’s ready to be used on the court. The colors and pattern selection of the Super.Fly 4 Jacquard is definitely something that will catch the beholders eye. 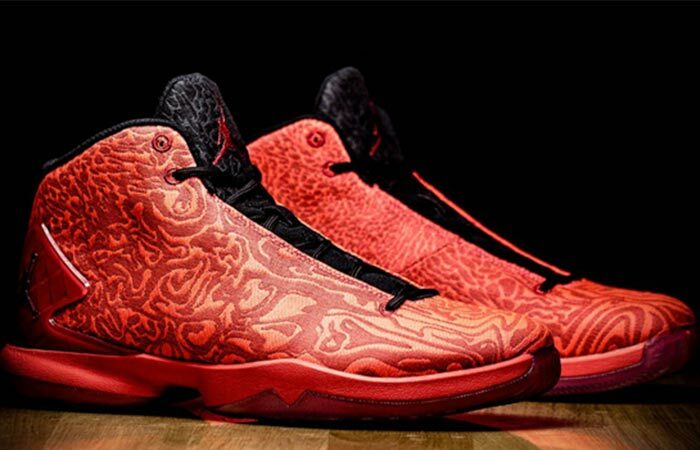 You can purchase the Super.Fly 4 Jacquard in Red or Black. 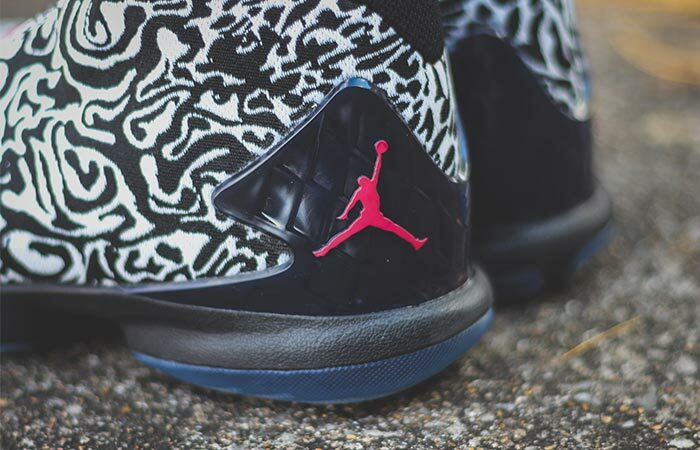 No matter if you choose the Red or Black/White variant, they look good in a way that only Jordan’s can.